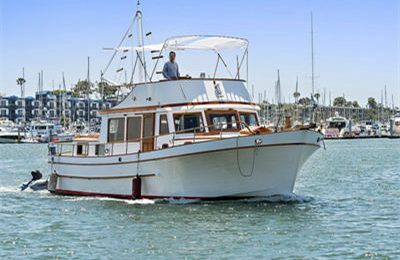 Enjoy a super sporty luxurious yacht charter out of Marina del Rey. From British luxurious yacht builder Sunseeker, this 50 footer super performance yacht is about style. 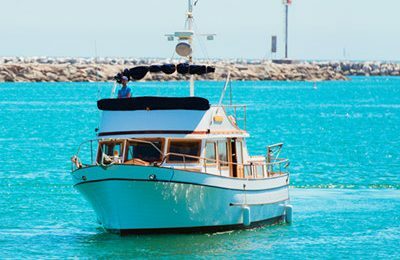 Luxurious details throughout the yacht includes hard wood furniture and flooring as well as real leather upholstery. 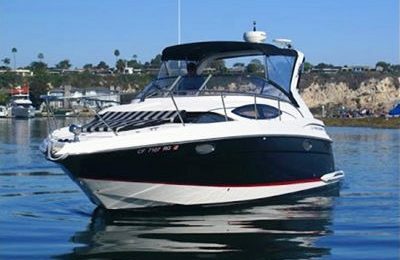 Take your family and best friends aboard this 1,200 horse power, twin turbo charged engine express cruiser. The cockpit space is very entertaining. It has built in wet bar and BBQ grill right on the side of the cockpit. HI-FI sound system throughout the yacht. A very spacious, customized sun pad area is right behind the cockpit and entertaining area. It is comfortable for three or more adults to lie down and enjoy the sun. Front deck is another giant spot for entertainment or sun bath. Below the deck, there is a spacious salon area, a spacious working kitchen as well as 2 bedrooms and 2 shower rooms.